Gas boilers are one of the best ways to enjoy comfort through even the chilliest of winters. They are highly energy efficient and can last for many years. 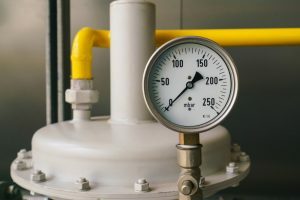 But, like any gas-powered system and any heating system, a boiler can be an energy drain if it remains working during the summer when it isn’t needed. If you have a boiler for your home comfort, you’ve probably wondered if it should be shut down entirely. Let’s take a closer look at this issue and provide you with some answers. Whether shutting down your boiler is a good idea or not depends on a couple of different factors. One of them is the type of boiler you have. Older boilers may still use pilot lights to ignite their burners, rather than the modern electronic ignition systems. If your boiler is older than 10 years, it may use a pilot light, and you probably already know if it does. This flame consumes natural gas whether the boiler comes on or not, so we recommend shutting off the boiler if it uses a standing pilot light. There’s a valve on the gas line to the pilot light, and if you turn it 90°F it will cause the pilot light to go off and cut off gas to the system. However, it may be worthwhile to shut down a modern boiler that uses an electronic ignition system. The water in the boiler will start to gradually lose heat to the outside air, no matter how well insulated the tank is. This may cause the boiler to come back on and waste energy. If you do decide to shut off the boiler entirely for the summer, we recommend you occasionally switch it on a few times during the season. The reason is to keep the valves from getting stuck. This will also alert you to anything that may be wrong with the boiler system before it has to come on for late fall. This is important. If you think your boiler has some kind of malfunction, even if it’s apparently minor and isn’t affecting its heating performance, don’t ignore it and have the boiler go into summer hibernation this way. What may seem like a “small” problem could only be the tip of the iceberg, and it might end up causing leaks or other problems over the summer, or lead to a system that won’t work when you actually need it again. And it could present a safety hazard. Have professionals repair your boiler, no matter how close the warm weather is. If you do need to have a boiler repair in Brighton, MI before you shut the system down for the summer, get in touch with our team. We’ve been in business since 2001 and we know how to make your home happy!